On 7 June 2018, ERA-Net Smart Energy Systems presented its joint call for RDD projects at the EUSEW’s energy days. The "EU Funding & Matchmaking for Smart Energy Systems” event, organised by our associated partner Flux50, informed about funding opportunities and brought together potential partners for transnational projects. The information and matchmaking workshop aimed at initiating and facilitating proposals for transnational research, development and demonstration projects on integrated regional energy systems. In the morning, the recently opened Era-Net SES joint call 2018 was presented and requirements for accessing a share of the over € 33 million funding budget were highlighted. In the afternoon, ERA-Net SES led a co-creation session with potential applicants. Associated partners, need owners and potential associated partner candidates were asked to fill puzzle pieces to match research needs and solutions, thus allowing ideas for proposals and project consortia to develop. The event was embedded in the Energy Days of the European Sustainable Energy Week (EUSEW). EUSEW was initiated by the European Commission in 2006. With its focus on sustainable energy policy issues, latest policy developments, best practices and sustainable energy ideas, it provided an ideal setting for our event. We extend our thanks to Flux50, host of the session. 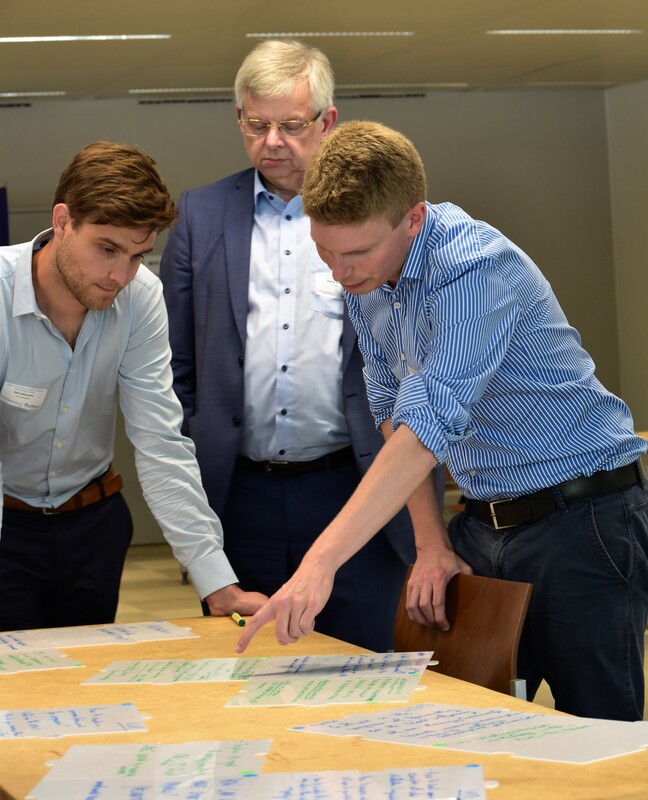 On the website of the Flemish energy cluster, you can find further documentation as well as a photo gallery with impressions of the event.